Like all things in life, music fans can be divided into two. The casual ones, who just happen to hear a song here and there on their radios or smartphones, and the more serious lovers of music. Of course, sometimes the distinction blurs and sometimes a casual lover becomes serious for a specific artist or song. 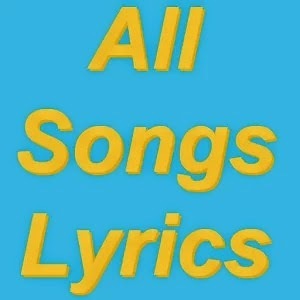 All Songs Lyrics is the perfect app for android smartphones for both casual and serious music lovers. How can one app serve both kinds of music fans ?!? Easily. All Songs Lyrics brings together all the relevant information and media for songs and music artists. A user can search for a song, and can hear the song itself, browse through the song's lyrics and even watch the song's music video. The app also has a very useful feature of finding the music of an artist, the entire song collection that belongs to that artist. The app itself is light and simple, and simply directs the user to Youtube after it finds the relevant media. All Songs Lyrics is very useful to any music fan. The most important feature is the ability to find all the songs by an artist, and hear them immediately since the way we experience music is expanding our enjoyment of songs by an artist whose work we love. Then the mere fact we have the lyrics of thousands of songs at our disposal is very useful, from status posts to signatures to party breakers, its always useful to have a library of lyrics at our disposal. A must to every music fan, All Songs Lyrics brings a new experience to the music enthusiast.